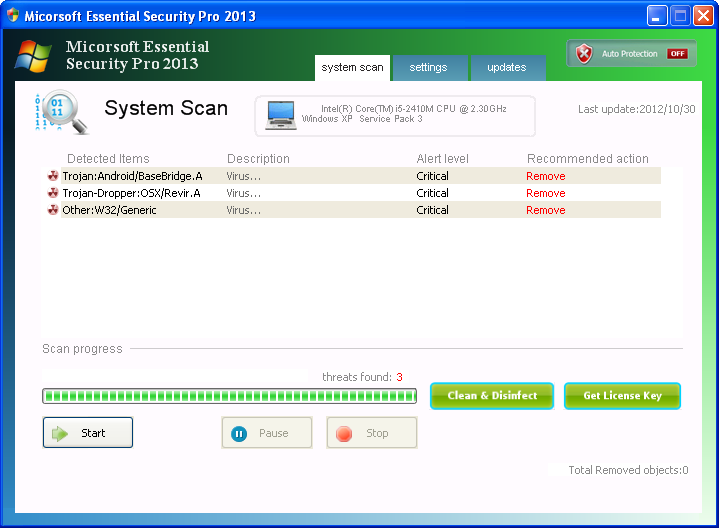 Micorsoft Essential Security Pro 2013 is a fake Antivirus tool. It detects fake infections, displaying alert messages to scare users. 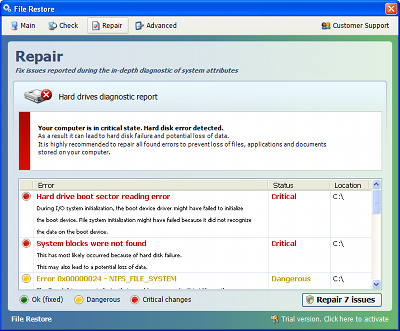 File Restore is a fake Defragmenter tool (rogue) from the same family as: FakeHDD. 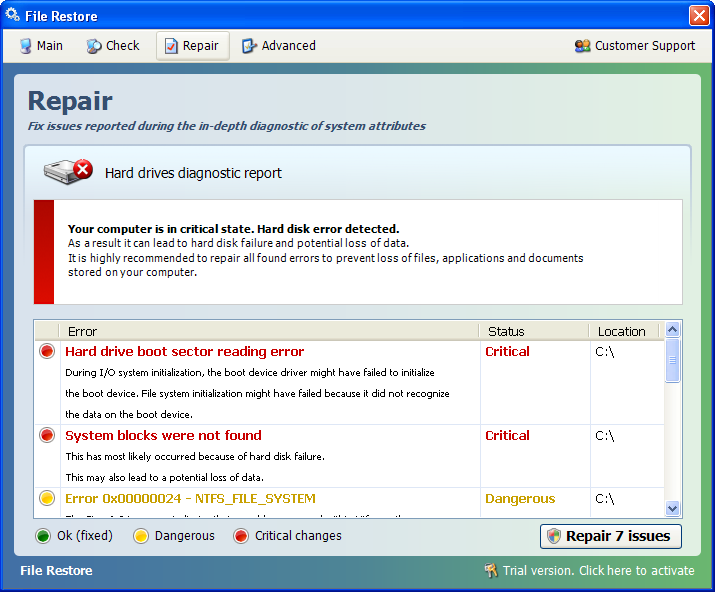 It replaces File Recovery, Data Recovery, Smart HDD. To register (and help removal), use this code: 08467206738602987934024759008355 with any email address. This malware is looking for the OS version (XP, Vista, Seven) and changes its name and skin: XP Anti-Spyware, XP Home Security 2013, XP Anti-Virus 2013, XP Security 2013 (...). It belongs to the Braviax/FakeRean family. As usual it displays fake warning messages to push users into buying a license.